This is an easy to follow, step-by-step guide on how to update the Joomla CMS from 2.5 or other older versions to 3.x and later. Questions & comments welcome. In this example, I am updating a 2.5 branch to the latest 3.x (at the time of writing: Joomla 2.5.19 to Joomla! 3.3.6) version of Joomla. Which can be time consuming, if you just thrown an updated without much thinking about it. Edit: Current latest version is 3.8.11. The idea is to kind of try and avoid errors beforehand, so there is less to clean up afterwards. I wanted to streamline the install process in a simple way that could be applied to all the sites I have to upgrade. But every site is a little bit different, so this is in no ways perfect. First thing to understand is, that you are supposed to upgrade all the templates and extensions (modules, plugins) on your site to a version that’s compatible with Joomla 3 before you start with the upgrade. Conflicting themes and extensions can leave you with error messages and a broken install. Note: Sometimes the admin panel breaks and you need to fix that in phpmyadmin by disabling conflicting plugins for example. I wouldn’t worry about that too much, obviously the “2.5 extensions” you have downloaded should be at least disabled before hand. Few tips would be to backup your site and mysql database, as well as enable full error reporting before you begin: “Site -> Global Configuration -> Server -> Error Reporting -> Development“. A really common problem is with the “Remember Me” system plugin. So better disable that at least, which cannot be done in the extension manager. Instead, you have to go to phpmyadmin to disable it directly from the mysql database. Log into phpmyadmin, click on the name of your database on the left, go to “search” and enter the value “plg_system_remember” with “xxx_extensions” or all the tables selected. Next to xxx_extensions you have the “browse” button. And change enabled from 1 to 0. And a “go” at the bottom. In Administrator Panel go to Components -> Joomla! Update -> Options -> Update server. Change “Long Term Support (recommended) to Short Term Support and hit on save. Then, Extensions -> Extensions Manager -> Update -> Purche Cache. Then go back to Joomla Update and you will see the 3.x version available for upgrade. 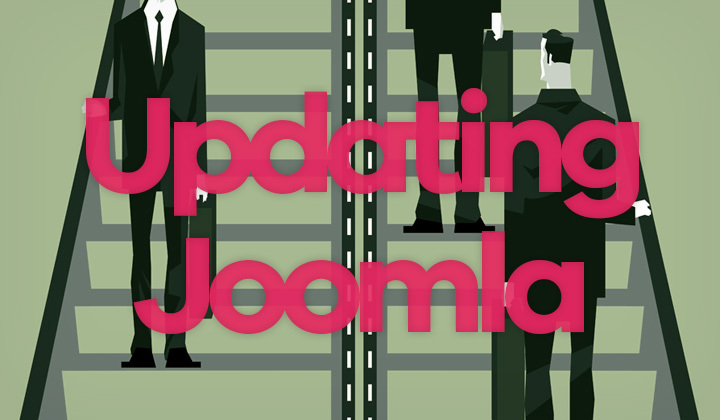 Now the Joomla update should run fine but have your backups ready incase. Any questions, concerns about updating Joomla to 3.x versions? Just leave your input in the comments below.